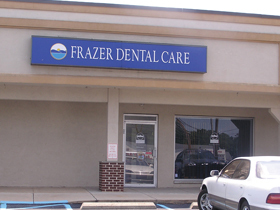 At Frazer Dental Care, we provide your family with the preventive & restorative care they need without having to take time off from work or school for your dentist appointment. We understand that you, our valued patients, lead busy lives & it can be difficult to put aside an hour out of your busy day. That is why we do all we can to open our schedule to allow you to come in when it doesn’t interfere with your day-to-day responsibilities—It’s just another way we show our patients how much we care.